General rate increases (GRIs) announced by Asia-Europe carriers for today have failed to arrest the decline in spot rates, which plunged this week by 21% for North Europe and by 15% for the Mediterranean. The Shanghai Containerised Freight Index (SCFI) saw the North European component sink $192 to $740 per teu, while Mediterranean destinations fell $153 per teu to $869, as buyers appeared to simply ignore the rate increases. 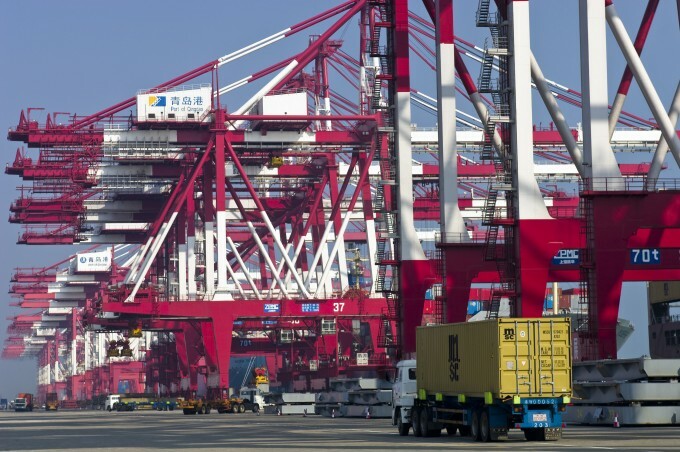 Carriers had announced GRIs ranging from $450-$500 per teu in what they expected would be a peak period of demand ahead of Chinese New Year (CNY), which begins on 8 February. However, according to a ship planning source at one container line, load factors from Asia to North Europe have actually declined since a brief pickup at the end of last year to below 90% – a level that makes it difficult for carriers to impose a rate increase without risking the loss of big chunks of cargo. The disappointing utilisation levels came despite G6 alliance members blanking two loops next week (wk 3), and do not bode well for the CNY slack period (wks 6-8), when the world’s second-largest economy effectively shuts down. The G6 members have also taken the lead in announcing that they will cancel two Asia-North Europe loops in week 6 and a further two services in week 7. Additionally, they plan to void one Asia-Mediterranean loop in week 6 and week 7. Today it remains unclear what steps the CKYHE and O3 alliances will take to adjust supply to the reduced demand during CNY, but it was reported that 2M alliance partners Maersk Line and MSC will operate a “flexible schedule”, with some deleted destinations and additional port calls to cover commitments. Carriers will no doubt hope that they can get through the CNY holiday season relatively unscathed and without needing to resort to heavy rate discounting to fill ships to a satisfactory level. However, the fundamental overcapacity on many trades remains the biggest threat to the sustainability of major container lines. Indeed, according to Drewry’s Container Forecaster, published at the end of December, the supply-demand growth gap widened significantly in 2015 to 7%, as a record amount of newbuild capacity hit the water and demand stagnated or even declined. This compares with capacity outpacing demand by between one and two percentage points, in the three previous years, noted Drewry. It said that carriers were now “faced with an impossible task of matching supply with demand”. And despite some carriers choosing not to exercise their options on existing orders, the “die has been cast” said the consultant, with confirmed newbuild orders expected to swell the global cellular fleet by around 5-6% over the next two years. Up until the middle of the 20th century these shipping services were provided by large liner companies and certain smaller companies serving specific trades mainly in the dry cargo markets. They were mostly located in the developed countries of Europe, Asia and the USA and certain fleets were directly owned by energy suppliers.